James Pfrehm, associate professor in the Department of Modern Languages and Literatures, wrote a book on language and technology. 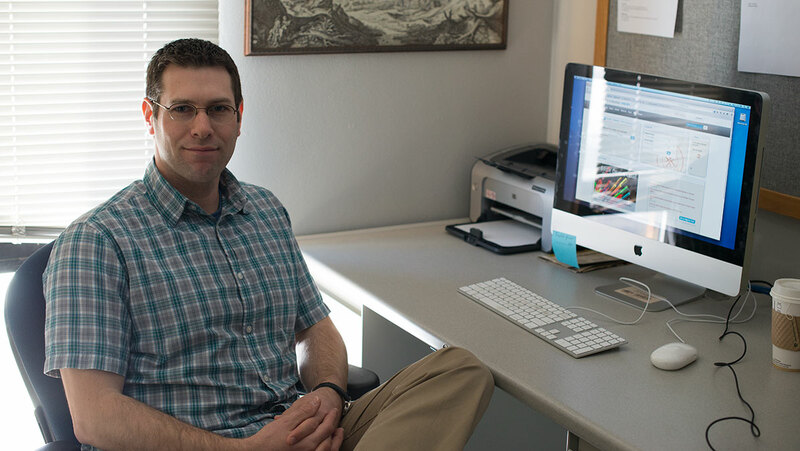 James Pfrehm, associate professor in the Department of Modern Languages and Literatures, wrote a book on the relationship between language and technology, entitled “Technolingualism: The Mind and the Machine.” Pfrehm’s book was published on Jan. 25. Meaghan McElroy: Can you give me a brief overview of your book? MM: Can you give an example of that? JP: The cochlear implant has affected language in the sense that it’s given language to people who have perhaps never heard before, the ability to hear and process language, but also changed the way that ASL [American Sign Language] speakers think about themselves as a community. … What happens if all of a sudden you’re in a school and 100 deaf students are there and one of them shows up with a cochlear implant and can hear? Will the students think, “Wow, is that person really deaf? Do they think they’re better than us, that they don’t need ASL anymore?” So the last 30 years, people in deaf studies research have seen changing perceptions within the deaf community of what it means to be deaf. This is one way we can say that the cochlear implant itself has affected language and ideas about language. But how did language shape the cochlear implant? … There was one guy, his name was Bekesy, and he was known as like the godfather of the cochlea. He figured out exactly how the cochlea processes sound. … And then later on, when they started building cochlear implants — this was in the ’70s and ’80s — those cochlear implants that used his research are the ones that are the best today. MM: How does this book relate to what you do at the college? JP: I’m so much more well-versed in exactly what they should read and what we should touch on. It underlines, or undergirds, everything that I teach to my students and has given me a better sense, or a more critical sense, of how I can relay that to my students and make it more relatable to them, their lives, how they relate to technology, how their language has changed that technology. In a nutshell, everything I do here comes back to this same phenomenon — that language changes us and technology, just as we change language and technology. MM: How do you think the relationship will change with the development of new technologies? JP: I don’t think it will. … I looked at writing, going all the way back to the beginnings of writing. Some of the same things that people were afraid about with writing, such as, “Oh, it’s going to cause us to forget.” Socrates said this. Socrates didn’t like writing. He said that writing was going to make you lazy and you were going to forget everything. He said it was going to kill your ability to argue and to be a good rhetorician. … He wasn’t a fan of writing, just like some people today — like my mother isn’t a big fan of texting because she feels that it’s too loose and informal. Language is still going to adapt and grow as a result. I don’t think that it’s essentially bad or good for language. It’s just that it becomes an extension of our language and then we use it as we will.